Cynifree paid tribute to UndreamedPanic's beauty Dancing With The Sun, with a remix full of his unique creativity and sound! Expect an intricate progression filled with a deep and powerful bassline, magical melodies, and an emotional finale with ambient synths! 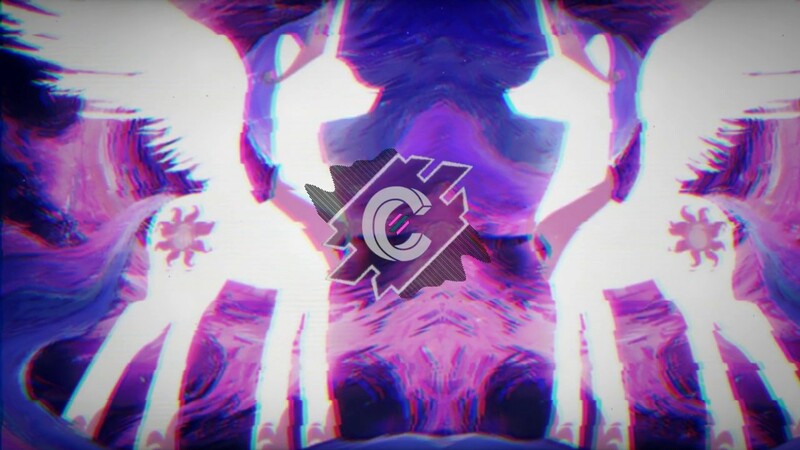 The whole remix is quite a creative and unique experience, and I appreciate Cynifree's musical vision and style so much! 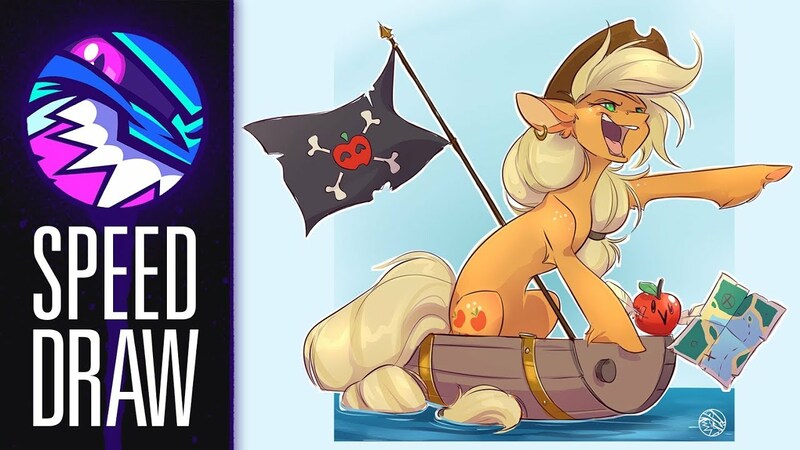 Painting ponies speedily, starring an Applejack header. She needs more headers. Twilight Sparkle at a museum, and Applejack reacting to an Applejack ponies in real life video. We've come full circle, or something. Possible Season 9 Episode 3 Title and Synopsis Revealed - "Uprooted"
Looks like we might have the title and synopsis for the third episode of season 9! We're just calling this possible for now as it isn't coming from one of our usual sources but the synopsis and what we've seen in the trailers so far make it sound possible. Get the reveal after the break! Thanks to 404 for sending it in! Open Art Event - Draw Your OC or Draw Your Favorite OC! It's time to celebrate what we've accomplished as a fandom, open art style! Your mission, is to draw your OC, or if you don't have one, fanart of your favorite OC! They can be doing anything you want. This might even be a good time to design one! As with all the other open art events, all skill levels are welcome. 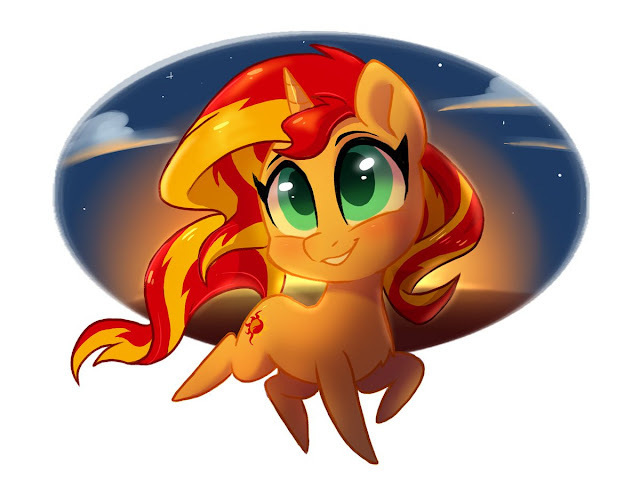 Send an email to [email protected] with a Twitter, Deviant Art, or Tumblr link and title the email "OC PONY!" The deadline this time is Wednesday March 27th at 11:59 PM for posting on Thursday. As always, all skill levels are welcome. Just get out there and draw! NOTE: This is not for old art. Only new drawings. Looks like the battle is finally about over. It was hard fought, but I wonder still if any more surprises lie in wait and what the aftermath of all this could be? Fandom needs more Sphinx. I demand it! Free internet points for anyone that delivers. 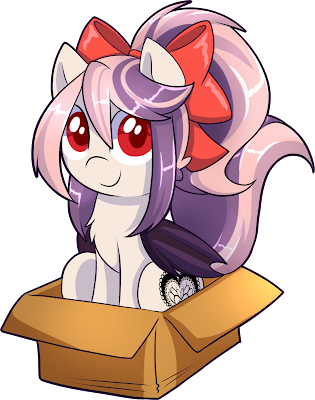 Get a bunch of pone below. 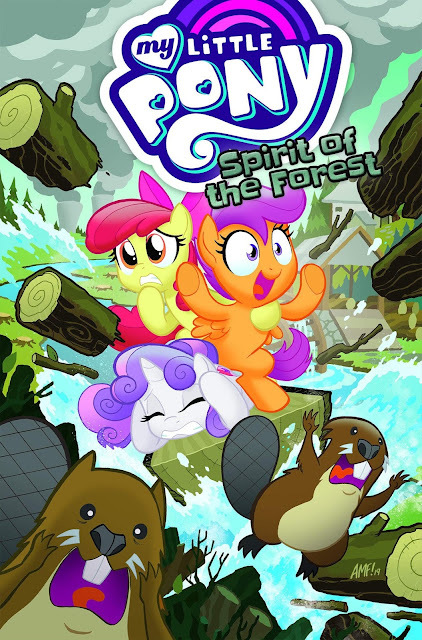 Spirit of the Forest Trade Paperback Slated for November 2019 Release! This news is a one two punch. 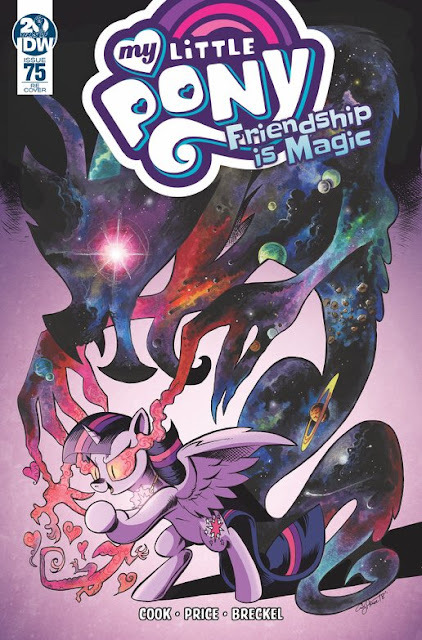 For not only do we get the full solicitation for this trade paperback (which is due out on November 5th), but we also get to see one of Tony Fleecs's really fun covers for the series. I'm half surprised the CMC aren't already covered in tree sap. Anyways, be sure to check out the full solicitation after the break! Season 7 was pretty great wasn't it? 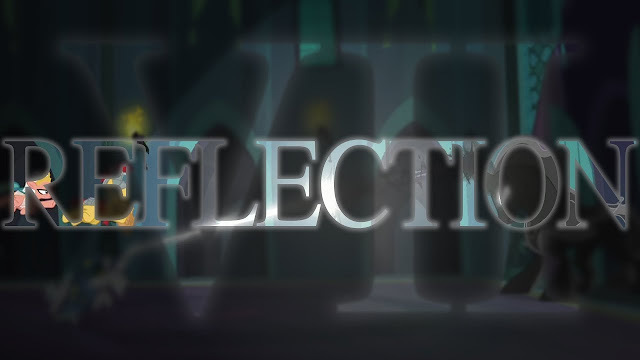 Have a PMV Celebrating it in its entirely. Also Somnambula. Because she's the pinnacle. Brian Drummond is heading to Whinny City this year! If you want to meet him, get the presser below. IDW Unveils My Little Pony: Friendship is Magic #75 WonderCon 2019 Exclusive Cover! I really don't care that this cover is a reuse of an interior page from My Little Pony: Friendship is Magic #75. That full page spread is a work of genius and needs to be seen by all. Good Morning everyone! With just under 2 weeks until WonderCon descends upon the city of Anaheim (and areas surrounding Disneyland get swamped with cosplayers) news from IDW Publishing is starting to trickle out about what to expect from the show. For starters, there is a this beautiful convention exclusive cover! The cover will retail for $10 at the IDW Booth (#1109). No word on how limited this cover will be, but if you're heading to the show make it a priority to pick this up. The IDW MLP Convention Covers usually sell out by the end of the second day. 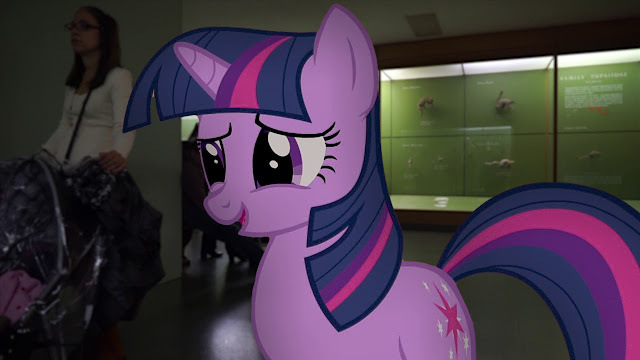 There's also a couple of panels which will probably contain some new MLP Comic news. You'll be able to find those details after the break! Cinder Glow needs more representation. It's a slow morning, so lets represent her with an awesome plushie. 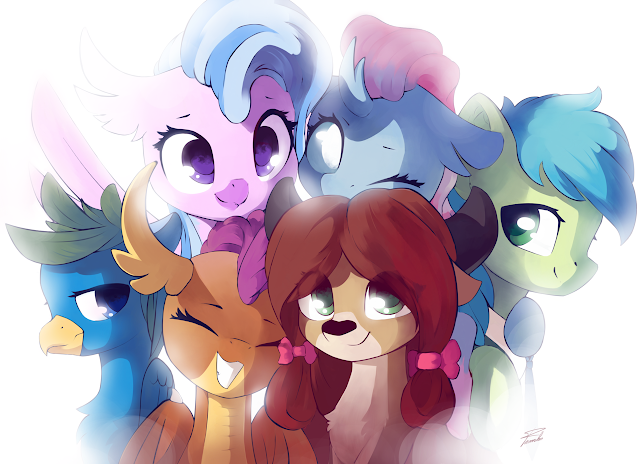 'Cause she's an awesome kirin. 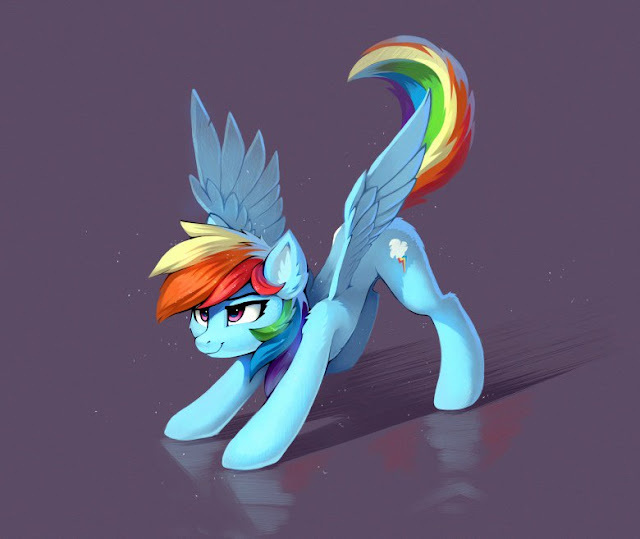 Rainbow Dash is ready for the day! She looks like she can just spring into action, doesn't she? Hopefully we can all find the same enthusiasm each morning.